The best billboards in San Francisco, including the I 80 billboards, come from Veale, the best outdoor advertising company in the business. We have lots of experience helping companies get their message out to a broad audience, catching eyes and inspiring action. Each month, millions of commuters can see your billboard, whether you opt for the traditional static billboard, or a modern digital billboard to take your advertising to the next level. Veale Outdoor Advertising embraces the fact that the best outdoor advertising is on a billboard because they are eye-catching and always available, as opposed to television and radio ads that have a smaller audience that is limited to the scope of their viewers or listeners. We can help you have one of the best billboards in San Francisco that will open your business to lots of new opportunities, and we have local, regional, and nationwide advertising options. Veale has been helping local businesses since the 1980s. 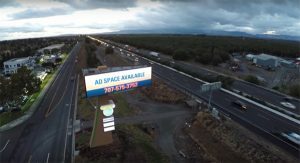 Each day, thousands of commuters travel in and out of the Bay Area, and in the short time it takes for them to pass your billboard, they can learn about your business, event, or sale. Many commuters are traveling substantially long distances, and research shows that the longer the commute, the higher the income of the commuter. A billboard along I 80 opens your businesses advertising to a promising market! If you want to join the other businesses, events, and causes that have invested in the best billboards San Francisco has to offer, contact the advertising experts at Veale. We look forward to helping you begin a successful marketing campaign.